I was at a wedding at the beginning of September. The wedding of my old friend John who I've known since I was 11. Well I say I was at a wedding... I managed to get the family through the door of Bridgenorth Baptist Church just as the vows were being said. I was flustered and hot after driving past the car park, twice, and then taking Google Map's word for it being a 10-minute walk. Yeah maybe it would be 10 minutes on the flat with no 3-year-old son, 5-month-old baby, and pram. I didn't realise we'd have to queue for the funicular railway... which the pram wouldn't fit into without taking the wheels off! 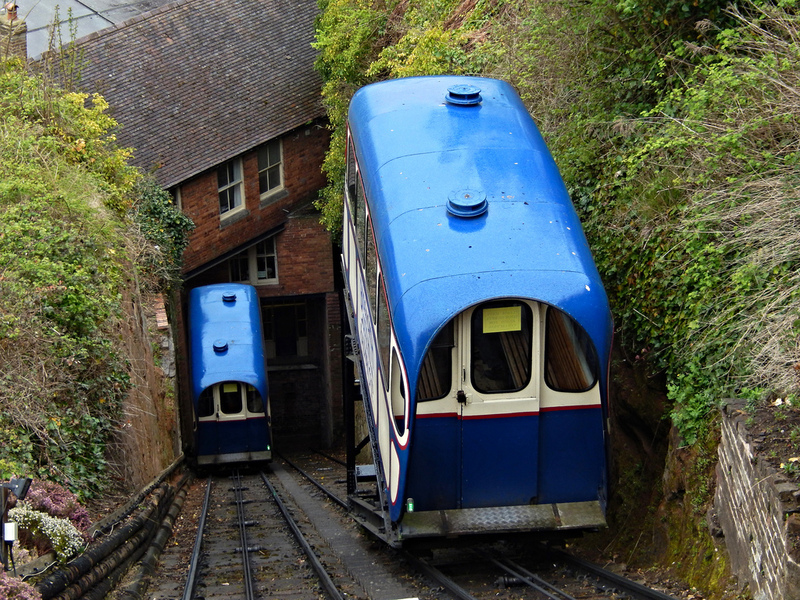 The Bridgnorth Funicular in all its glory! We received the middle England disapproving glances as we entered the church... and then our son declared to the back 5 rows of seats that he really didn't feel that this was a fitting start to his afternoon of entertainment. Eventually we settled down for the rest of the service. 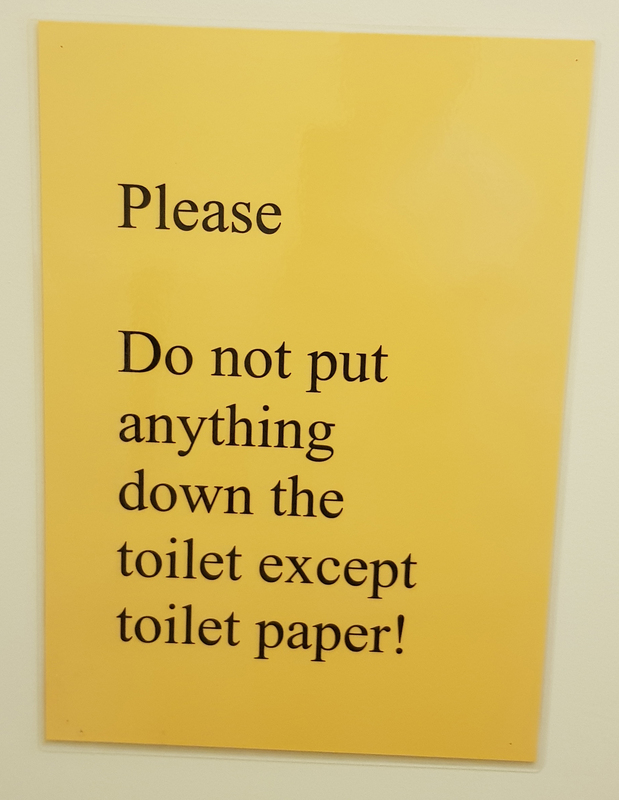 Only toilet paper? Surely a pointless toilet! I know what they meant, but they were not completely clear. There was room for misinterpretation. I've been guilty of it in my own communication. Sometimes my mind wanders. My worst habit is continuing a conversation with someone that I've been having with them but only in my own head, so I think we've had full communication and my point has been clearly made. The most worrying thing is I sometimes fill in THEIR side of the conversation! I say it's the sign of a creative imagination. But at the end of the day I cause trouble for the people around me by not being clear in my communication. Having a 3-year-old "teenager" is starting to sharpen my skills. I cannot afford to leave room for interpretation. In my fast-approaching 30 years in the business, I’ve seen hundreds of briefs where the motivation and the clarity of the communication were just not there. At the end of the day a radio commercial should be to get someone to do something, or in some cases change their mind or attitude towards something. We need to make sure that the reason is clear (why should I do it?) and the action required is completely clear. The listener is certainly not an idiot, but why should they have to work hard to try to unscramble what they’re supposed to do to respond to the ad? Let alone having to remember a complex web address or, heaven forbid, a telephone number?! That is why at Get Carter Productions we've made a commitment to challenge not only ourselves, but our clients too. We’ll question a brief and get it into great shape before we write the ads. All of this because we want the best outcome for our clients. We COULD just write ads and not worry about them working, but that's not how we roll.